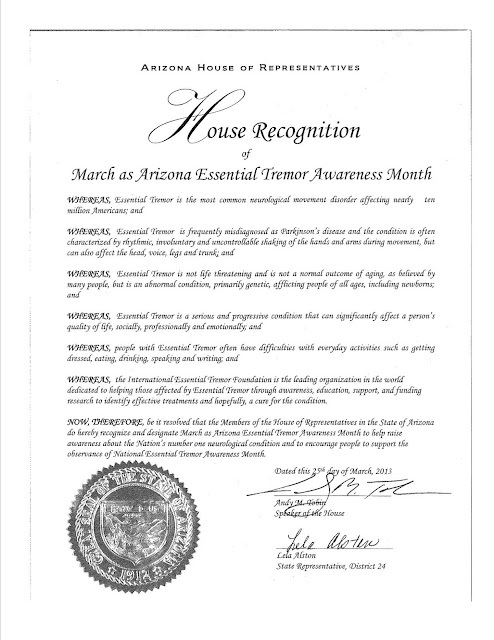 STATE CAPITOL, PHOENIX – Today Rep. Lela Alston, D- Phoenix (District 24), reminded legislators that March is Essential Tremor Awareness Month. She released the following statement after reading an official proclamation from the floor of the House of Representatives. For more information on essential tremor, go to www.essentialtremor.org.